I'm curious about where the similarities stop and what are the optimal pawn breaks. The pawn structure in the Caro-Kann Classical Variation and the Scandinavian can be the exact same. The optimal pawn breaks are either pushing the c6 pawn to c5 or pushing the e6 pawn to e5. The differences are in the positions of the pieces, which is why far more people play the Caro-Kann than the Scandinavian. In the Scandinavian, black spends many tempi moving their Queen around, giving white time clamp down on these possible pawn breaks. The pawn structures are the same, which means the typical pawn breaks are also the same. Black often tries for ...c5 and sometimes ...e5, while White always has a thematic d5 break in mind. However, in the Scandinavian Black must waste a few tempi moving his queen. This means that White's plan more often involves early attacks as opposed to the Caro-kann. Not the answer you're looking for? Browse other questions tagged opening pawn-structure caro-kann scandinavian-defense or ask your own question. 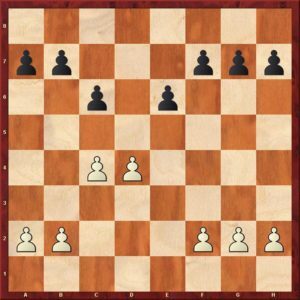 Does a typical pawn endgame from Classical Caro-Kann lead to a draw? For Black, against the Caro-Kann Advance Shirov variation 4. Nc3 which move tends to lead to the most positional, slow, solid and strategic positions? What are the main differences between 6…Bb4 and 6…Be7 in the Panov-Botvinnik attack? What are the main differences between 2…d5 and 2…e5 in the anti-Caro-Kann? Why is 14..Qd8 the most popular move in this variation of the Caro Kann?